Solving IT puzzles: You are using common.logging ... right? 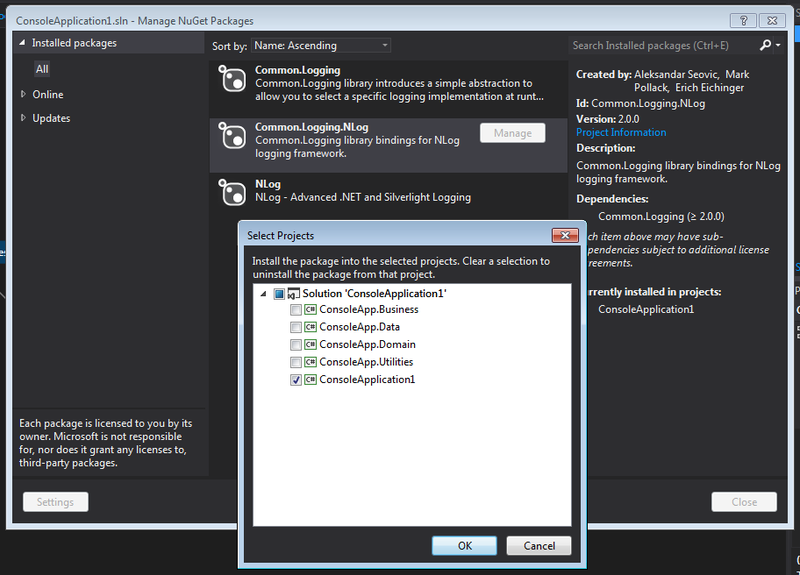 You are using common.logging ... right? I thought everyone would be using common.logging right now for logging purposes, but just because I like it so much, I decided to write about it a bit. Logging is of course a cross-cutting concern that you want to be able to do from everywhere within the layers of your application. Common.logging provides an abstraction between the library and the actual loggin implementation of the application. 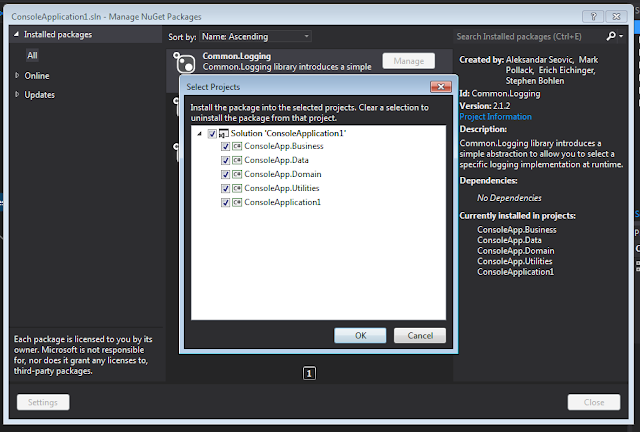 That's why you'll find that a lot of .NET libraries reference common.logging. This enables users of the library to hook up that common.logging to their own logging implementation in the actual application and see what the library is logging. 10:07:31 ConsoleApp.Business.InvoiceService New random invoice creation is done! As they say on .NET Rocks! Learn it, love it, use it.